Organic Honey … So many people are confused as to exactly what it is. What honey varieties are there? How and where it was it produced and how can you tell if it’s the real thing? I will help you to solve the answer, I was once totally ignorant to the differences myself and many a time through my early days of discovering the delights and benefits of honey I was taken in by those complicated ”honey labels”. It is always helpful to read the labels on the jar which will clarify what you are buying. If nothing extra has been added then it is usually fine but please check those labels carefully. Let’s take a closer look at some of those honey labels we come across and see if we can make sense of some of them. Certified Organic Honey is really the name to trust if purchasing in the extensive field of Named Honey Varieties. Raw Organic Honey simply is the honey still in the bee hive, completely untouched by anything other than the bees.This will sometimes look slightly dirty in a jar due to being extracted from the Bee Honeycomb in its purest form.There will still be traces of pollen and Propolis that you can see as a form of debris in the jar which is extremely good for you so please don’t let that put you off.Organic honey and bee pollen is an excellent food source and the type thousands of people purchase because they know it works. Organic Raw Honey has undergone strict regulations and a process of straining before it is bottled and sold to you usually in a jar from an organic honey company with a traceable address.This usually looks clear because the pollen and Propolis has been strained away, most people like their honey to look this way. Blended Organic Honey is generally safe; this is the type that has several types of organic honeys blended together for a uniform effect to ensure the flavor is always constant.This is best bought from a recognized organic food store or straight from an organic honey farm. Blended honey on a label is one that I would leave on the shelf; it often will not tell you what horrors such as corn syrup it has been blended with!This is usually cheap in price and definitely wouldn’t find its way into any cupboard of mine. 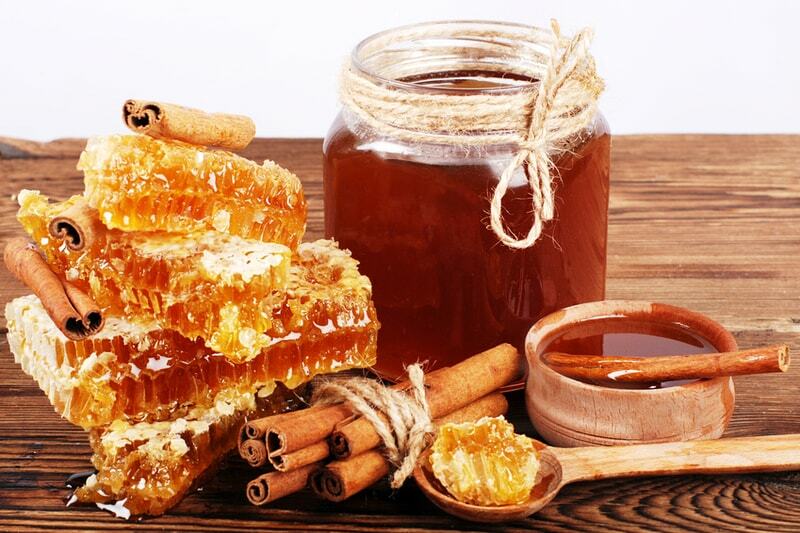 Special Organic Brands of organic honey have a unique name although the taste and color will vary from time to time depending on a mixture of seasons and general weather conditions.These are better known as Monofloral honey or Artisanal Honey which contain mainly nectar from one single source. Certified Organic Honey, this must have a traceable address and will have undergone extensive testing this includes ALL the equipment used by organic honey farmers and area it comes from. Quality Honey, What quality? Good or Bad? if you cannot find details on the label specifying this or where it has been farmed it is best to ignore this one. Pure Honey, great label however, again this can be misleading. Pure honey is only really guaranteed to be if you were to buy this from a beekeeper who will extract his/her honey straight from the hive whilst you are watching. Real Honey, well of course this is what we want however; a honey farmer would not label their honey as just real honey. 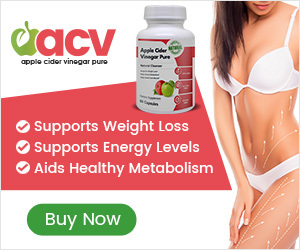 The label will provide you with far more information. At times, more as a way of selling the product than anything else some honey varieties will have a label telling you it contains Royal Jelly which is pretty good stuff. I would buy this, in fact I do but I always check my labels carefully. This type of organic honey will generally be quite expensive however, it is well worth purchasing. There are some fantastic organic honeys, these will have special names some of which are very well known and some you may not have heard about before. 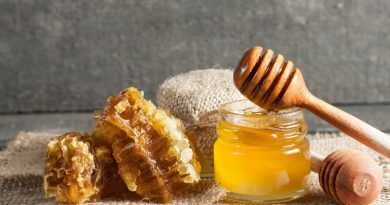 Here is a list of different honey varieties that might tempt you and I think the different honey flavors might surprise you! They certainly did me! Acacia: Pale and golden, tastes like vanilla although mild and sweet with a hint of flowery nectar and very popular with cooks due to a high fructose content. Australia Honey: Surprisingly the highest antibacterial honey in the world comes to us via the vast continent of Australia. Avocado: Tastes nothing like the fruit, it is dark in color and has a taste resembling dark treacle. Basswood: Contains nectar mainly from this one source. A pale honey, sometimes even white at with just a hint of a green glow, Sometimes known as Lime honey. Tastes like crisp green apples with a hint of mint. Buckwheat: Highly praised for its ability to ease coughs, colds and flu. symptoms. Very dark and thick with an aquired taste. Cranberry: This has a distinctive red hue that glows in the sunlight. Has a strong berry flavor. Crystallized: Probably the best type for spreading, it won’t usually drip and slip! Fireweed: Mainly golden to amber, fruity and floral with a sweet smell of flowers. Jarrah: Can be quite a thick, dark brown but also clear. An acquired taste but great if you like the taste of eucalyptus. Lehua: Better known as Hawaiian honey and very rare. It is rich, smooth, light like toffee and buttery in both color and texture. Locust: Great for showing off chunks of honeycomb. Tastes delightful, delicate, and with a fruity flavor. Mexican: Often mixed with various healing herbs. The colors can range from dark or clear amber and because there are so many honey varieties from Mexico the tastes will vary considerably. Sourwood: Very famous in the state of Georgia right through to Pennsylvania! Some say the color of straw and those who taste it cannot be really sure if it is sweet or sour! Spanish: Also and often known as Orange blossom. A pretty light colored springtime honey with a surprisingly lemon flavor! Star Thistle: A superb honey made from the nectar of weeds! Could be purple, red or yellow with a hint of cinnamon. 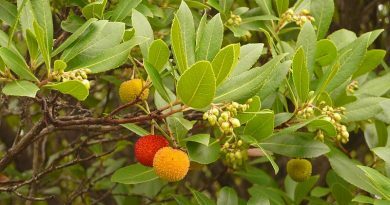 Strawberry Tree: Do not be fooled by its name, not as sweet as it sounds! Clear amber color but at times almost grey. Smoky, pungent and quite herbaly! Sunflower: A delightful honey just as the name suggests. a subtle aroma some say of grass but on the whole it has a lovely fruity flavor. Tupelo: Has romantic undertones, grab a jar if you see one. Van Morrison chose his lyrics well! Mainly golden and tastes heady, florally, or even like the sweet air in a pine forest. Ulmo: The Mapuche people who are native to Chile are very proud of their special honey. Imagine the look and buttery taste of vanilla, caramel, and toffee and combine it with the aroma of Jasmine, cloves and a touch of aniseed. Tropical: Jiten Chandarana of Honey Care Africa introduced me to his delightful “Beekeepers Delight” amber colored honey blended with cinnamon, ginger and quite soon cloves. A delightful choice from Tanzania, Africa. Organic Honey from the UK? There are many reasons you will rarely find a true organic honey in the UK. Because the UK is so densely populated there are rarely any real safe distances for honey producers to run an Organic honey farm. I do however, have it on good authority that parts of Scotland, on some of their islands are excellent sources of organic raw honey where there are some wide open spaces for their bees to collect their nectar. This is where the delicious Heather Honey comes from; there is an abundance of heather in Scotland who can proudly name their produce as Organic Heather Honey. Each one of the above will be a certified honey so long as it arrives from the “real” supplier. Never, ever purchase anything you are suspicious of! I am may be being a little unfair towards honey farmers; however this just enforces the fact their labeling must be adhered to correctly. Is Organic Honey the Best? Certainly raw organic honey is worth considering buying, particularly if you are an avid organic produce buyer and many people do seek out these particular products. But please don’t be fooled into making a purchase unless you are 100% certain you are buying the real thing. Would you like to read about some more Honey Varieties? Including the most expensive honey in the world! And why not share your own knowledge with us by telling us what you consider is the Best Honey and why do you consider it to be. You may like to read this document which contains the information that all organic honey producers MUST adhere to: The producer of an organic apiculture operation must not: (1) Maintain colonies in an area where a significant risk of contamination by prohibited materials exist within a 4 mile (6.4 kilometers) radius of the apiary. Have you ever considered how nice it would be to grow your own organic produce? Honey bees will love this as much as you. It’s all about the health of your soil and gardening practices. 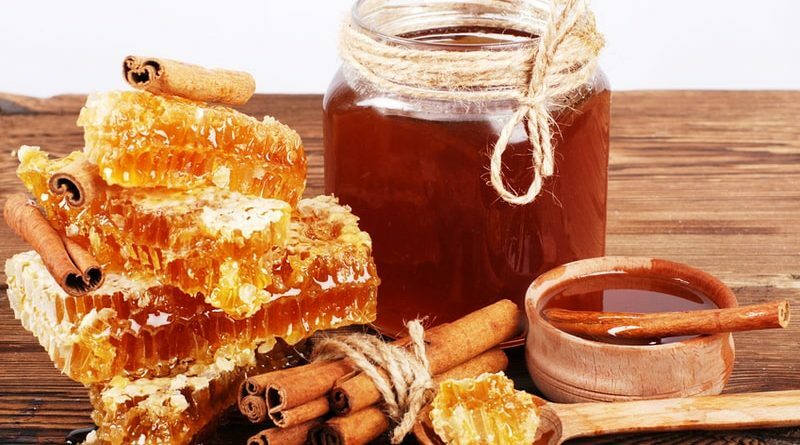 A really good organic honey is a super food, which can even be included on a diabetic food list although you should of course follow the guidelines of your personal diet which you would have or should have discussed with your own doctor or dietitian. Eat it every day and discover as I did just how amazing the Health Benefits of Honey really are. It is unwise for children under the age of twelve months as they are said to not yet be able to digest honey safely. Perhaps you would like to read more about Babies and Honey.